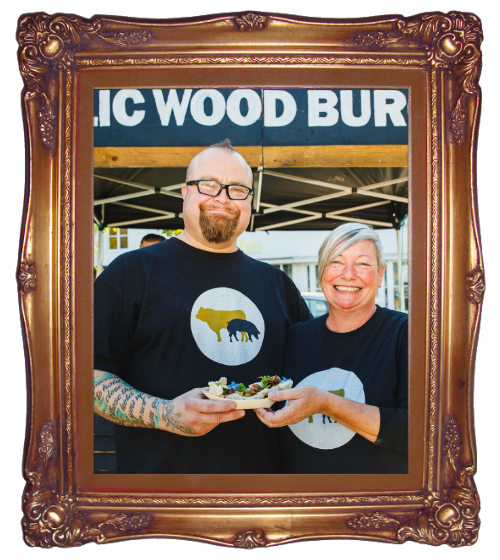 Garlic Wood Events serve burgers and seasonal daily specials using top quality, high-welfare, hyper-local, sustainable food that is ethical and from responsible sources. 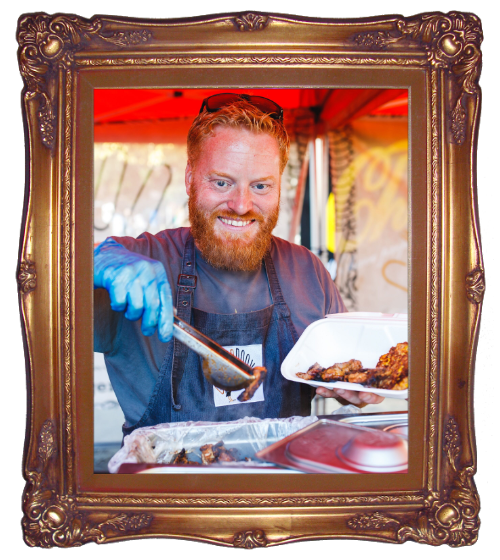 Sussex Food & Drink Awards ‘Street Food of the Year 2018′ Winner! 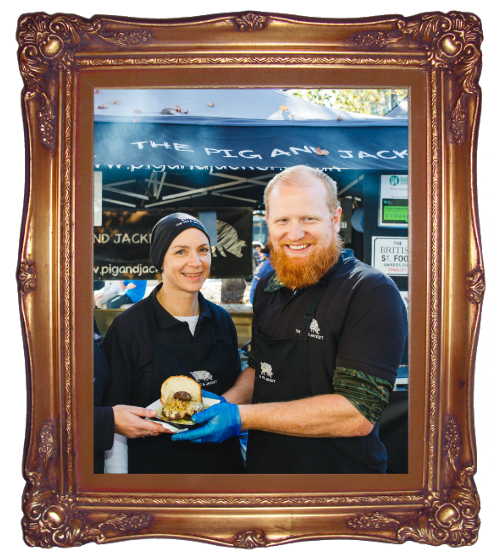 The Pig & Jacket specialise in an ‘All Things Pig’ menu accompanied by homemade sauces & chutneys. 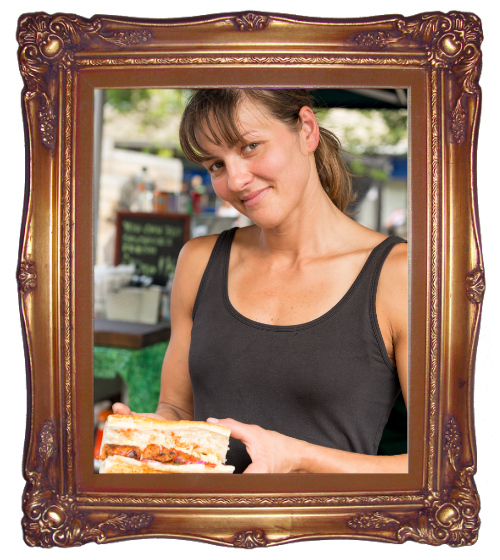 Affordable British street food at its best, using high quality, free range and locally sourced meat. Authentic homemade Slovak food cooked with passion and love. Try their amazing bravcova klobasa sausages and warming Goulash. Look out for their huge swing grill. 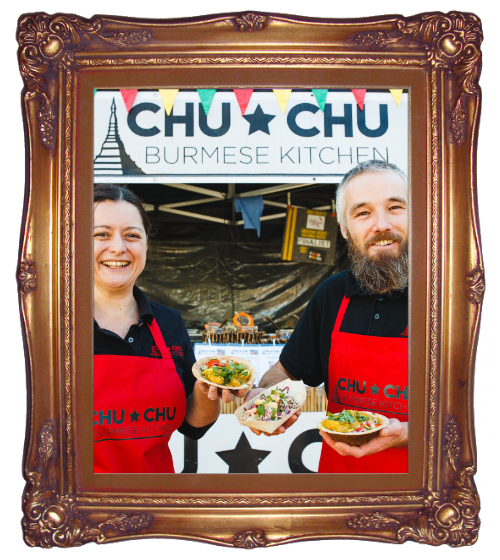 Chu Chu specialise in the unique, fresh and wonderful flavours of Burmese family cuisine using locally sourced meat, fish and vegetables. Choose from a range of curries and top with freshly made pickles and relishes. 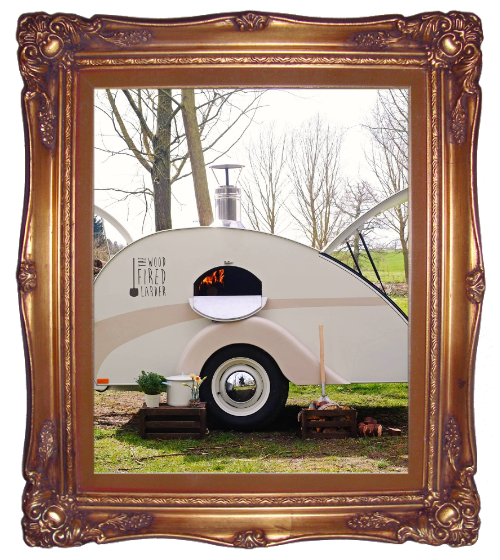 Exceptional pizzas cooked in a wood fired oven in a beautiful bespoke teardrop caravan. All ingredients are locally sourced where possible and always freshly prepared. 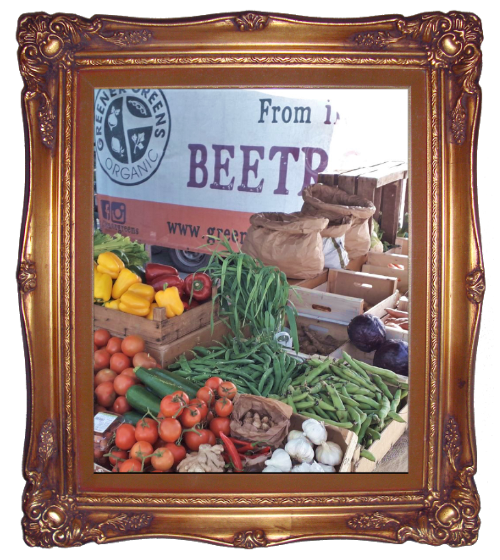 Fresh meat and poultry is free range from local butchers, J. Chitty & Sons of Brockham. 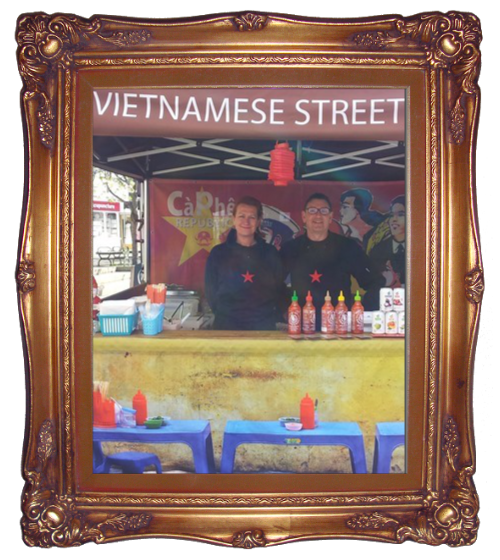 Authentic Vietnamese street food made by hand every day from scratch, using the freshest ingredients and served quickly and when it is at its best. Healthy, fresh and seasonal – from warming Pho soup to fresh light Goi salad. 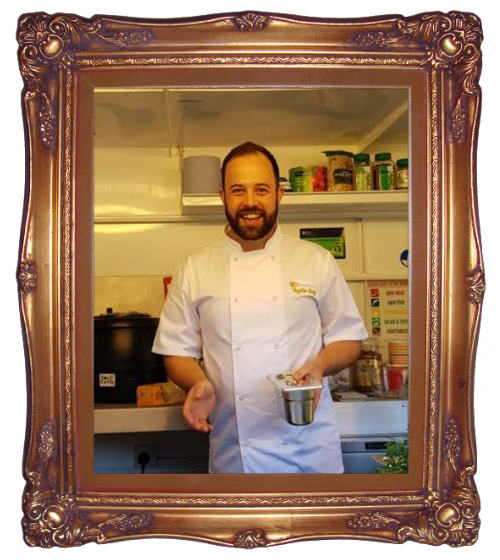 The Gingerrookes menu offers the gluten-free market a delicious taste of street food spoils, with their famous corn fritter s as well as baked goods, slow-cooked meats, smoked produce and banging Great Taste ‘Award Winning’ homemade sauces. 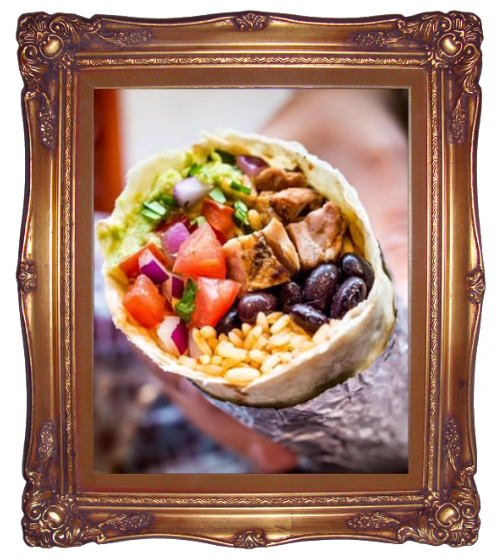 A long-time favourite at the Thursday market, Mix & Match offer a range of burritos filled with locally sourced meats, rice and vegetables with homemade sauces. 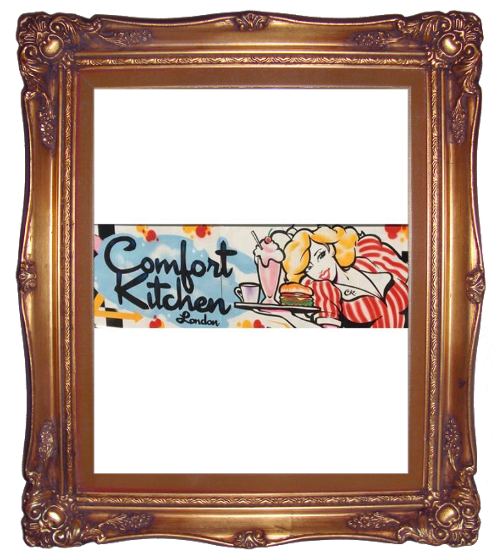 Comfort Kitchen serve up delicious Buttermilk Chicken and freshly cooked fries with a mouthwatering range of sauces. Make sure you try their chipotle mayonnaise. Delicious fresh pasta made onsite using a state-of-the-art pasta machine. Fresh sauces prepared daily. All their meats are high quality and locally sourced. 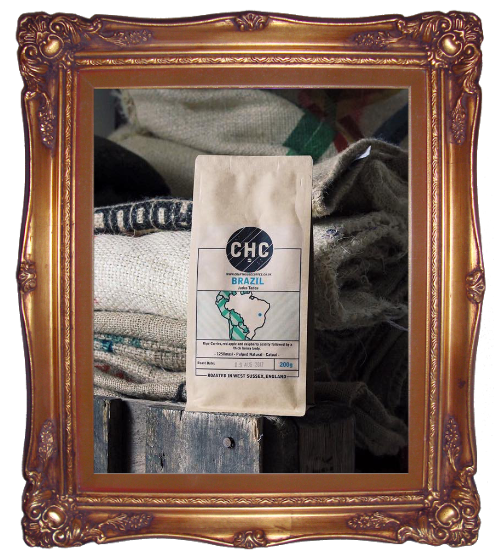 Supplying a premium, ethically sourced and freshly roasted coffee, Craft House Coffee only use the best quality coffee from all around the world. 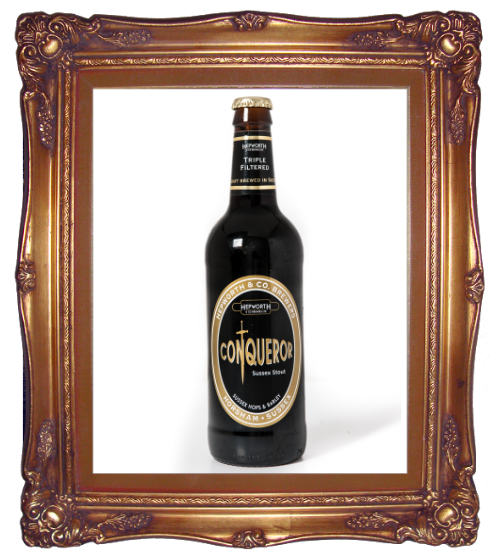 Buy to drink as you browse the stalls or buy bags of fresh beans to take home. Contemporary Egyptian Street Food. 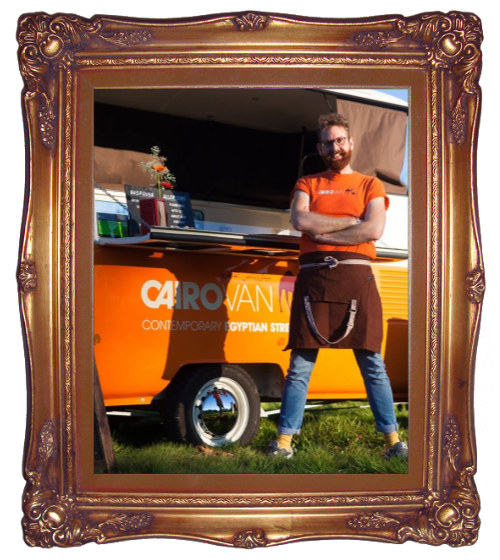 Cairovan serve soft flatbreads filled with Bubba Mansour’s Lamb, sourced from their family farm in East Sussex, or freshly-made Falafel. Also the most amazing halloumi fries! Greener Greens provide gorgeous quality biodynamic and organic fruits and vegetables direct from local independent growers. 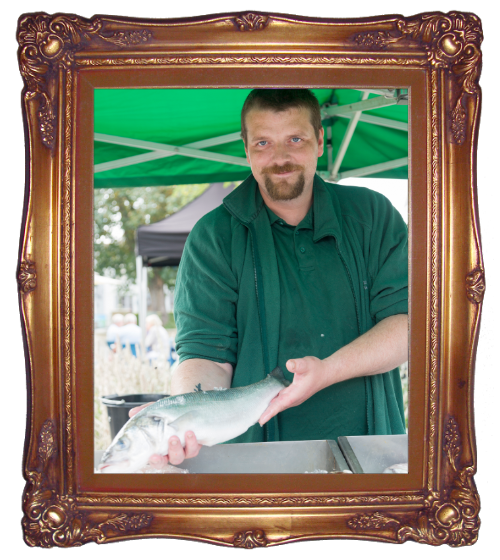 Winner of Nation Fishmonger of the Year, Veasey & Sons sell fresh fish the way it should be, fished the way it should be. 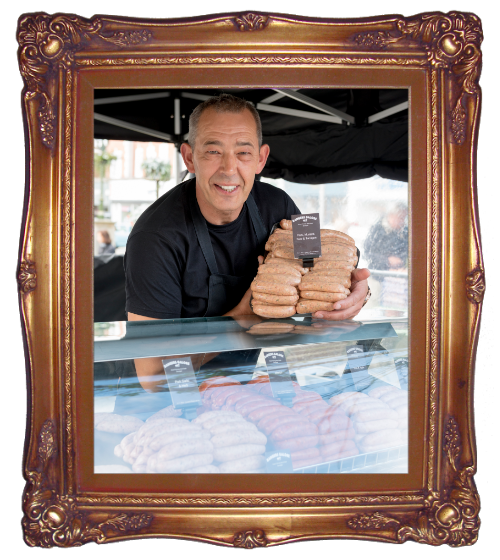 Bangers Galore are passionate about their award-winning sausages and hope that you enjoy eating them as much as they enjoy making them! 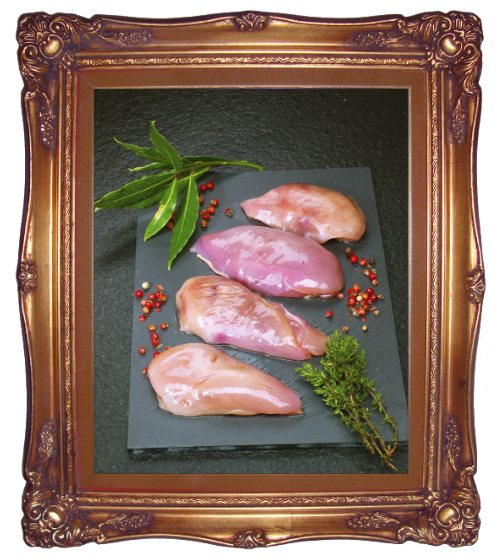 Made with pork from pigs reared in open yards and with seasonings and herbs selected for quality. 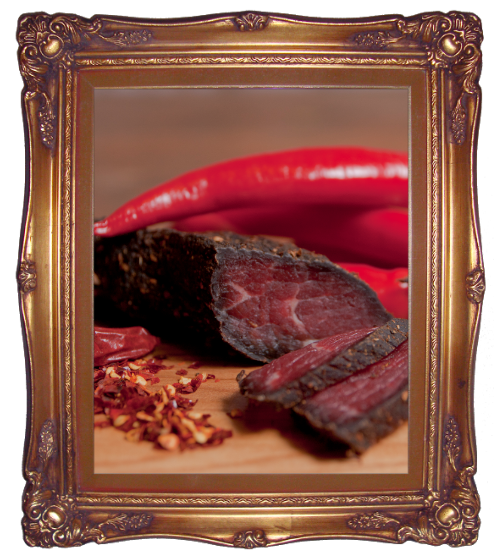 Mopani’s fabulous biltong, boerewors, droewors, ribs & steaks are freshly made in their butchery in Arundel. Flint Owl love bread. Long fermented breads made from the finest flours, water and sea salt and that’s it. No chemical additives, improvers or fats. 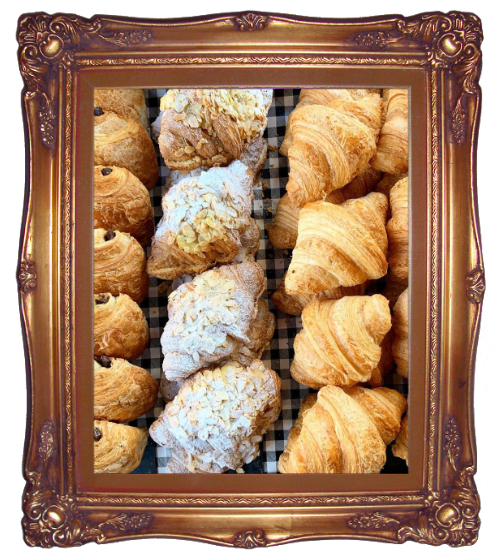 Their breads, croissants and pastries are all handcrafted from scratch and baked in small batch sizes using highest quality organic ingredients. 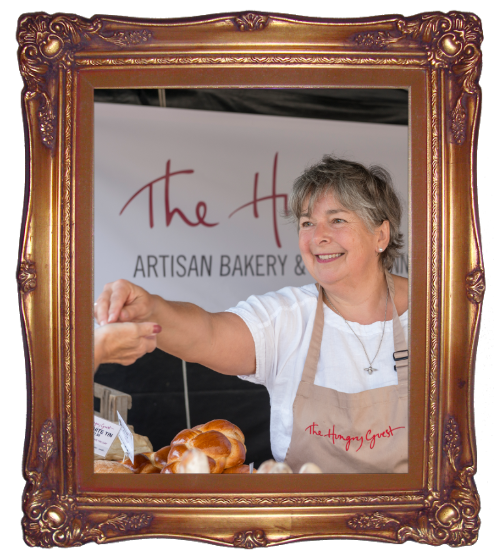 The Hungry Guest is an artisan bakery and sells exceptional quality bread and pastry alongside other products from their award winning food shop. 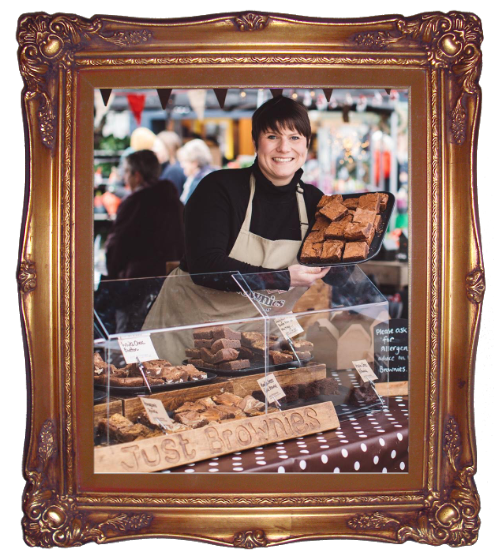 Small batch, quality brownies, made using British ingredients where possible. Look out for some amazing specials each week! Wild game has a distinct yet delicious flavour. The wild meat produced by South Downs Venison and Game is sourced from Estates and parks along the South Downs. All cuts are completely natural and free from any additives. 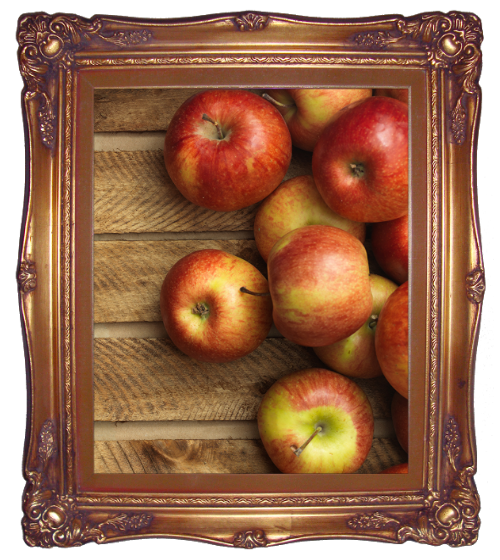 Greenway Fruit Farm bring their beautiful, fresh, local and seasonal fruit to the market. Including wonderful asparagus, cherries and several varieties of apples and pears. Collaroy Farm Eggs. From Newdigate in Dorking, Paul and Sheila Flashman bring fresh (laid the day before! 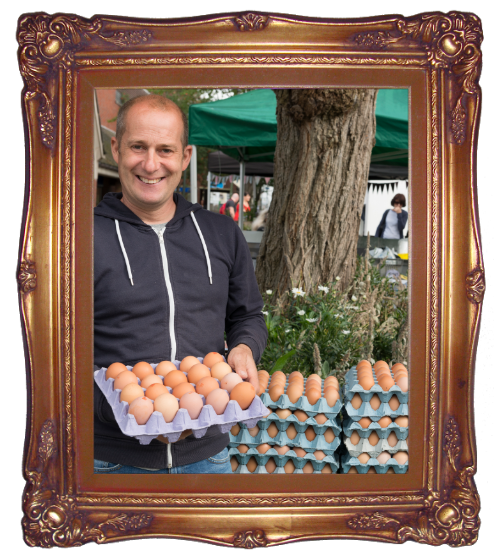 ), free-range eggs to market, in sizes from small to extra large. 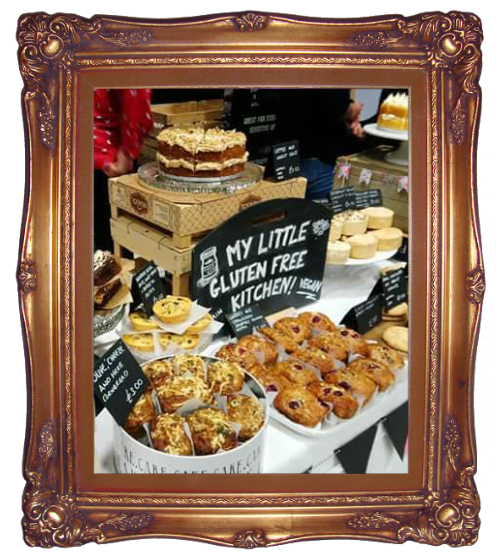 Delicious gluten free and vegan goodies, carrot cake and sticky toffee puddings being firm favourites! 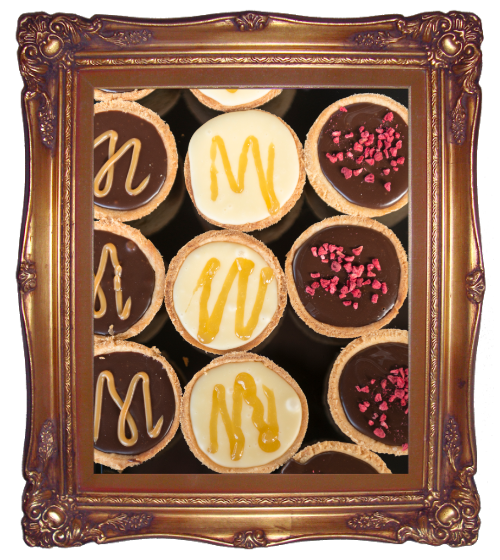 Yummy Things are constantly trying new recipes and flavour combinations to bring you an exciting range of products. 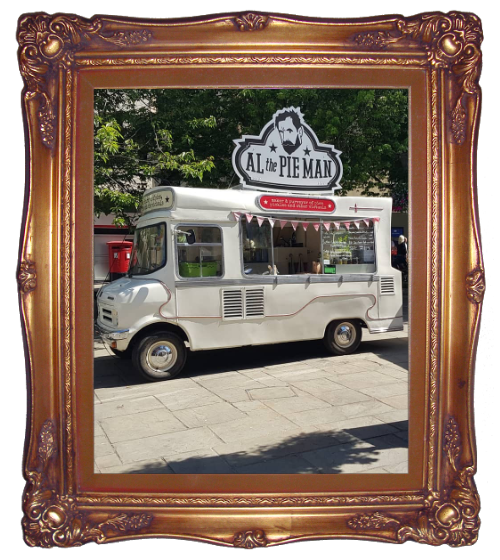 Makers and purveyors of the finest small batch handmade fine pies, pickles and other victuals. 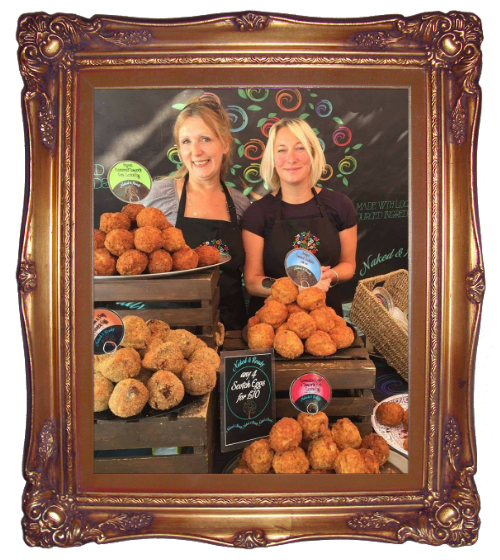 A range of delicious home-made scotch eggs and pates made using locally sourced ingredients. They use free range organic meats and vegetables and high quality fish from sustainable sources. 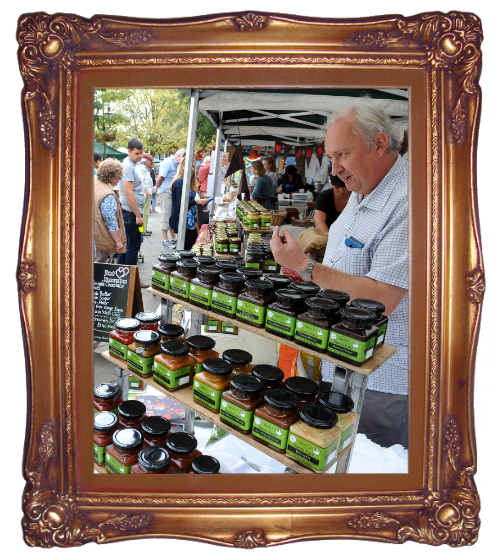 Chilli sauces, chutneys, mustards, jams and marmalades. Bartie sources ingredients from local suppliers where possible, grows much of the fruit himself and also uses local small firms to provide services – thereby adding to the local economy. 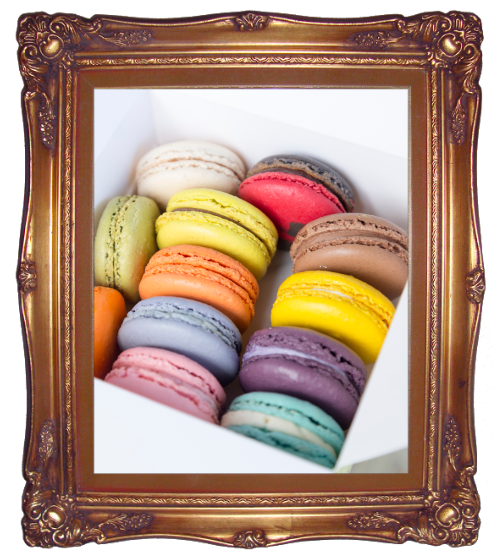 Made with pride from the finest ingredients with inspiration from Pierre Herme and Laduree. You must try the liquorice, use, cherry tonic and salted caramel to name but a few. 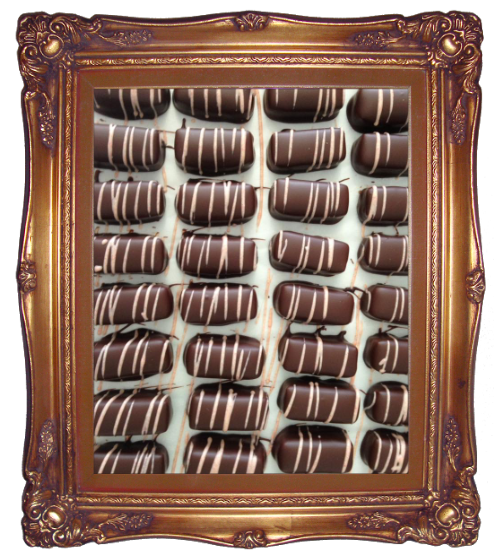 Wimblehurst Chocolates make the kind of chocolates we all enjoy eating – all handmade using fresh ingredients, local cream, butter, honey, jams and gin. 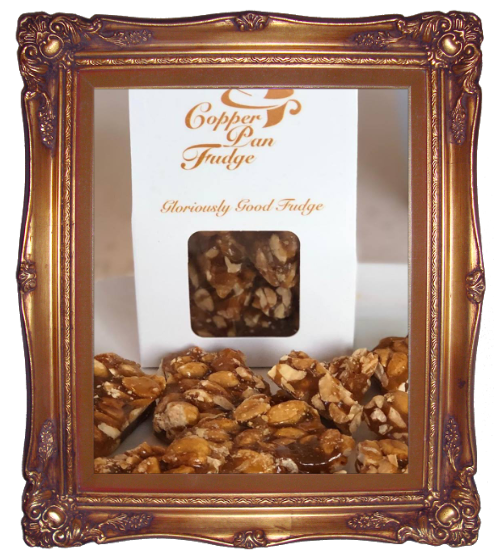 Trust scrumptious handmade fudge with a constant stream of new and exciting flavours. Look out also for their coconut ice and fudge sauce. 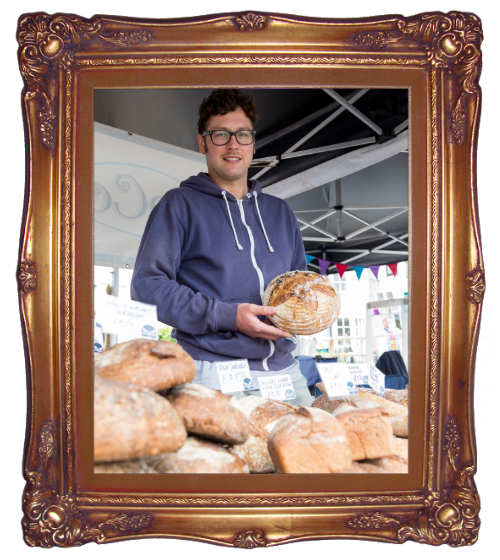 A fantastic range of hand made breads, pastries and patisseries. Including their famous brown bread. 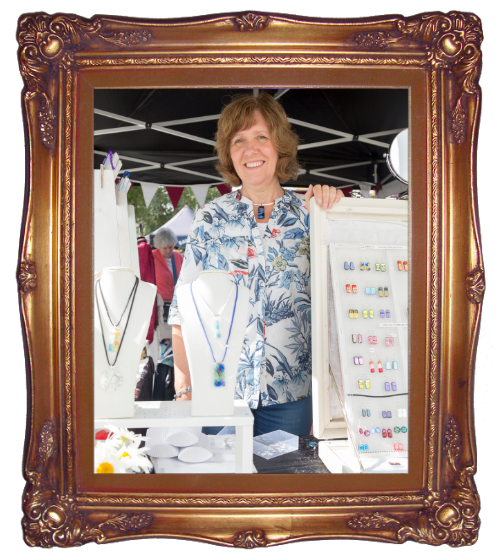 Fused dichroic glass jewellery and fused glass art designed and handmade by Angela Jenkinson. Each piece is unique and Angela is constantly experimenting with different combinations, so check back regularly for any new items. 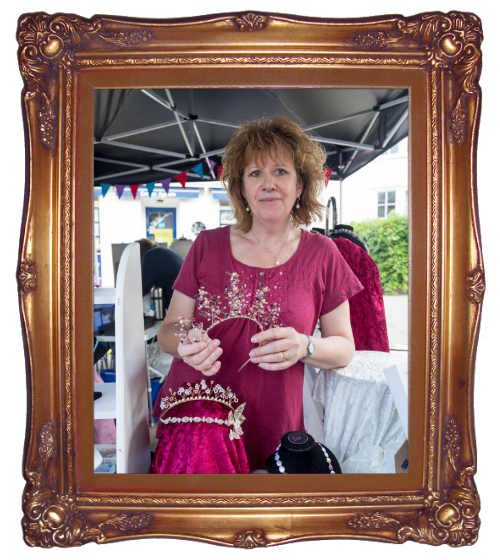 Exquisite hand made tiaras to make your special day perfect. Each tiara is handmade using the finest components ranging from beautiful freshwater pearls and natural stones to Swarovski and Austrian crystals and faux pearls. A small back garden nursery growing unusual and cottage garden perennials. Also offering handmade seasonal gifts and greetings cards. 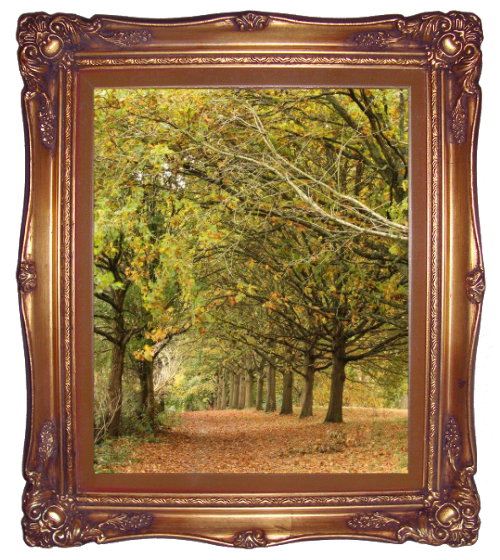 Belinda Walters sells her beautiful photos and cards of anything that inspires her, including local wildlife, countryside and Horsham scenes. 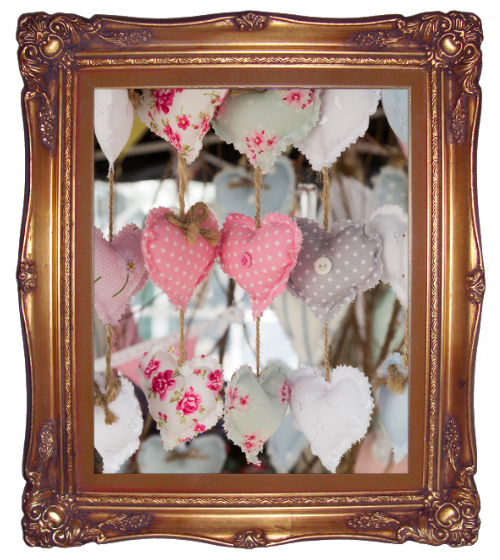 Hand made soft furnishings, bunting and locally crafted wooden home and gardenware. 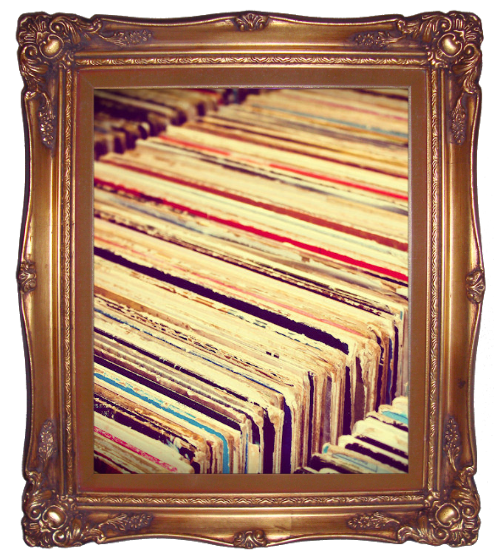 Rock and Jazz vintage vinyl LP’s and CD’s including rare and unique finds. 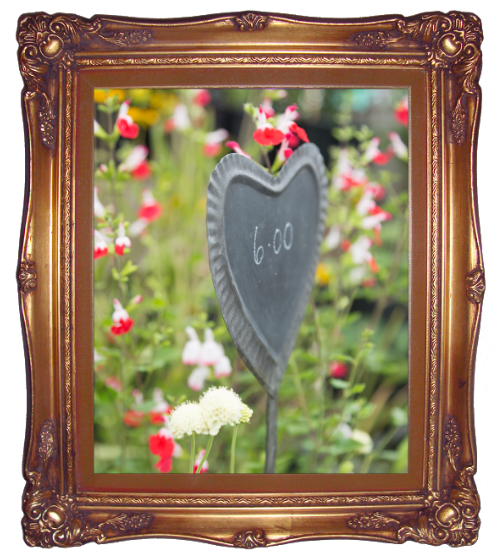 A wonderful selection of annual plants, shrubs and flowers. 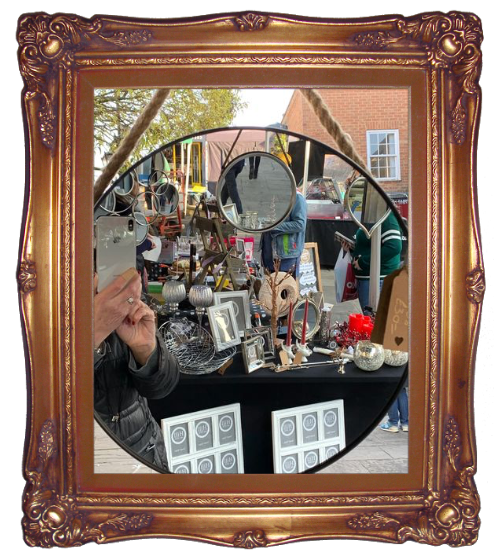 Mirrors, picture frames, decorative lighting, homeware and gifts from Nini’s Boutique in Billingshurst. 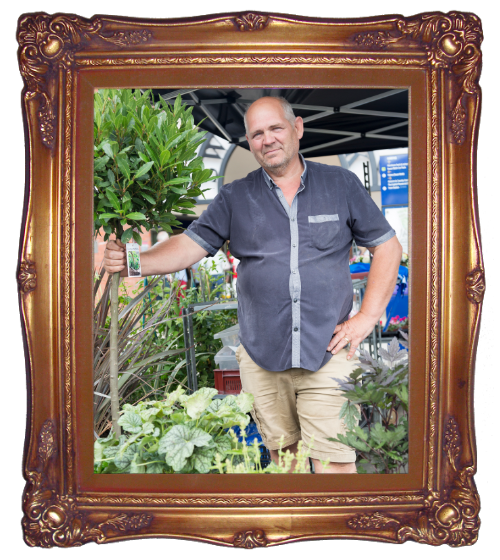 Homewares, curiosities and gifts from antiques and collectables dealer Mark Young. 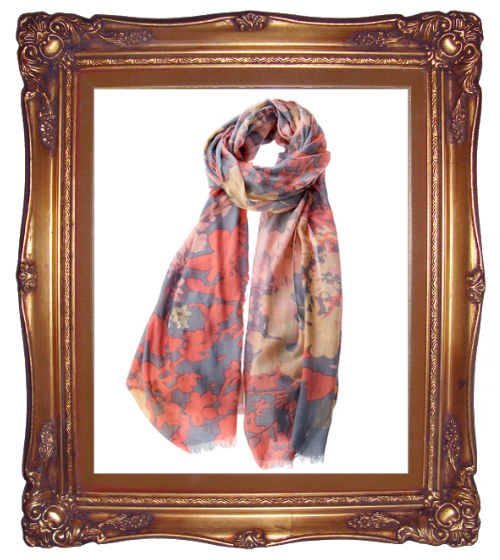 A selection of jewellery, scarves, women’s accessories and leather bags. 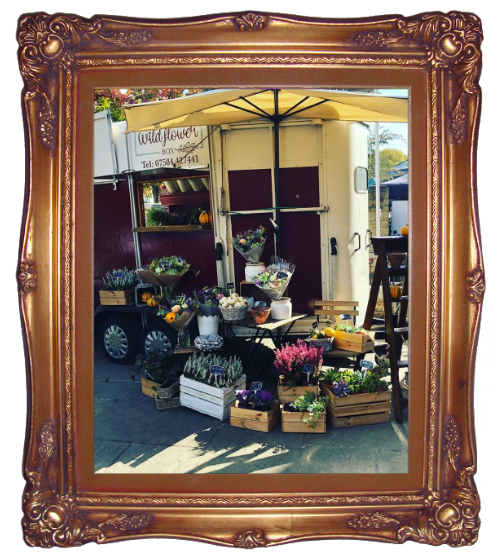 Antonia is a Horsham based independent florist selling a beautiful range of flowers from her converted horse box. 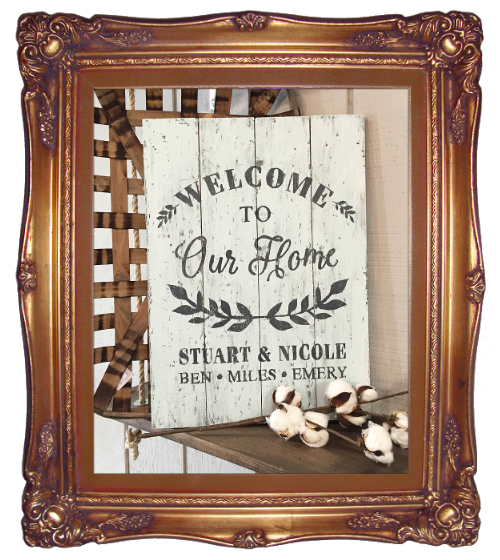 A range of metal and wooden home and garden products with some unique hand-crafted pieces. 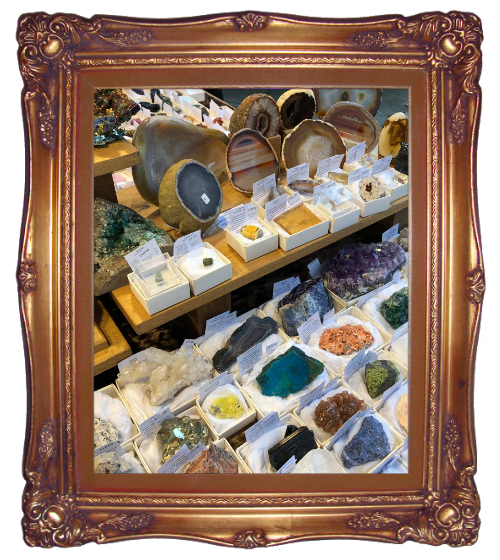 Organika Gems offer quality hand selected fossils, minerals, crystals, and unique handcrafted gemstone beaded jewellery using 925 silver. 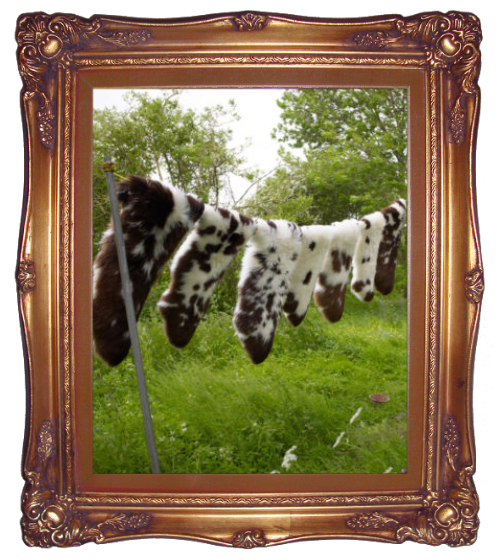 Classic Country Wear for dogs including locally made leads, coats, beds, toys and blankets plus home-baked treats. 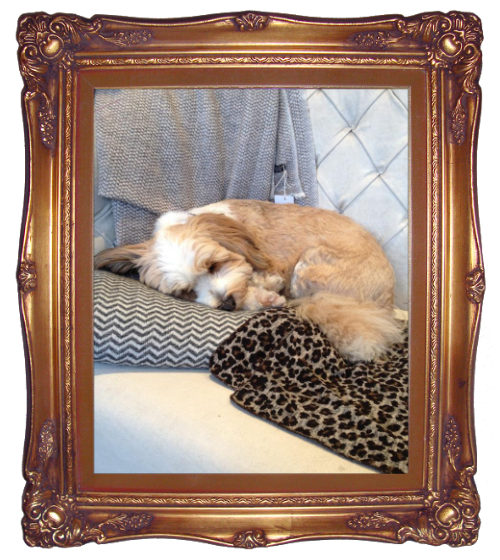 A company inspired by a family’s love of our canine friends. 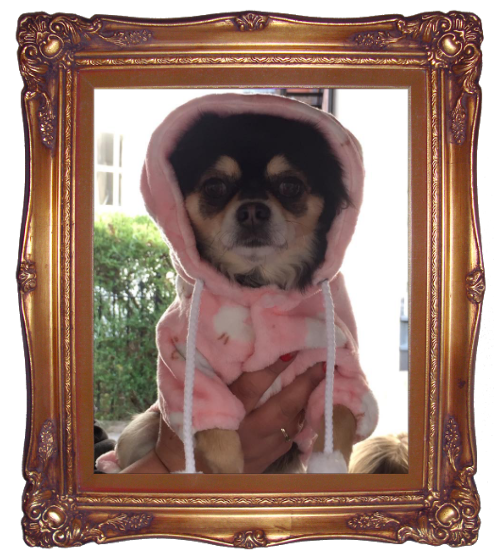 Nelly’s supplies a range of clothing and accessories to show your dog how much you care. 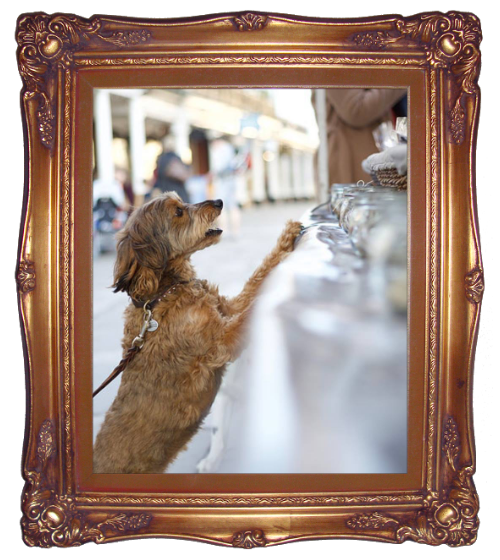 The Tunbridge Wells Dog Biscuit Company hand-makes a variety of amazing dog biscuits which are sold at markets up and down the country. 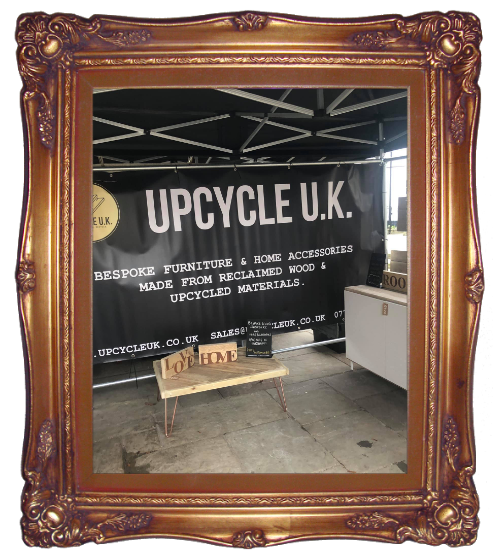 The sale of bespoke upcycled furniture, reclaimed timber and furniture accessories. 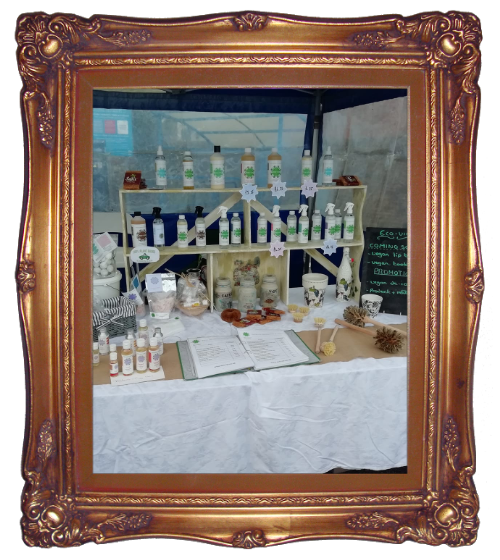 Plant derived home and garden cleaners plus a natural body care range. Completely natural and vegan friendly. Throws and rugs made from sheepskin and local alpaca. Plus a range of local-made wooden homewares and handmade woven blankets. 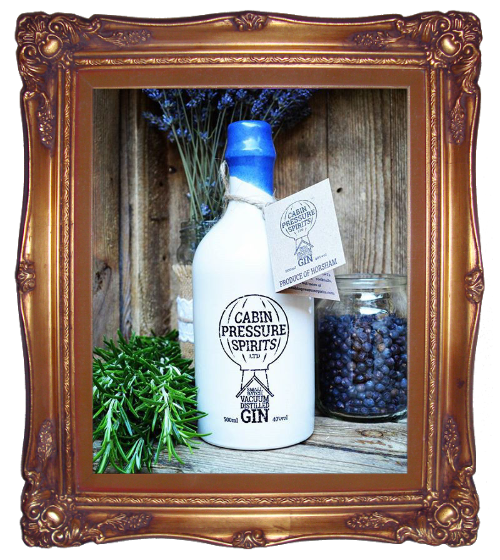 Cabin Pressure Spirits are a husband and wife team based in Horsham. Visit their website to read about the “Nano-Still”, and how Cabin Pressure are using vacuum distillation to create gin of the highest quality. 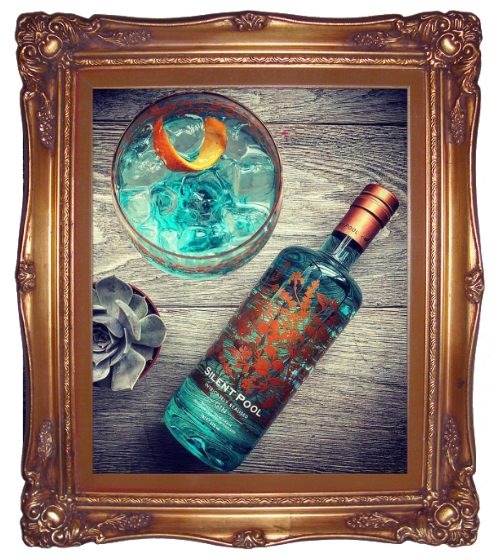 Inspired by the surrounding beauty of the Surrey Hills, their gin is produced using 24 botanicals and the clear spring-water from the mysterious Silent Pool. 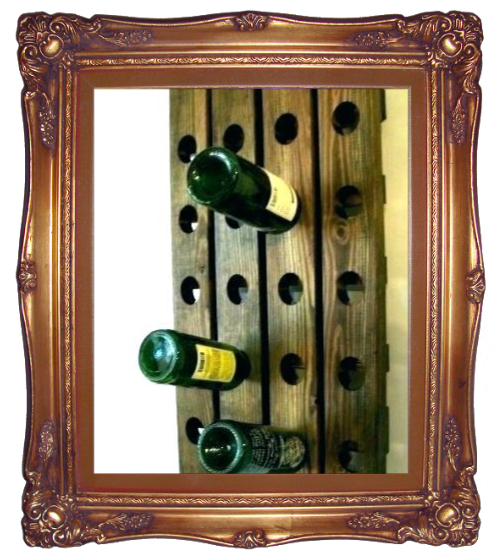 Hepworths, based in Stane Street Pulborough, West Sussex, are award winning brewers of Craft Beer and contemporary beers.